I really liked this quilt! The colours were so bright and cheery, and the black set them off perfectly. I’m pretty sure it’s a Disappearing 9-patch quilt, and it had a pieced backing in fun coordinating fabrics. 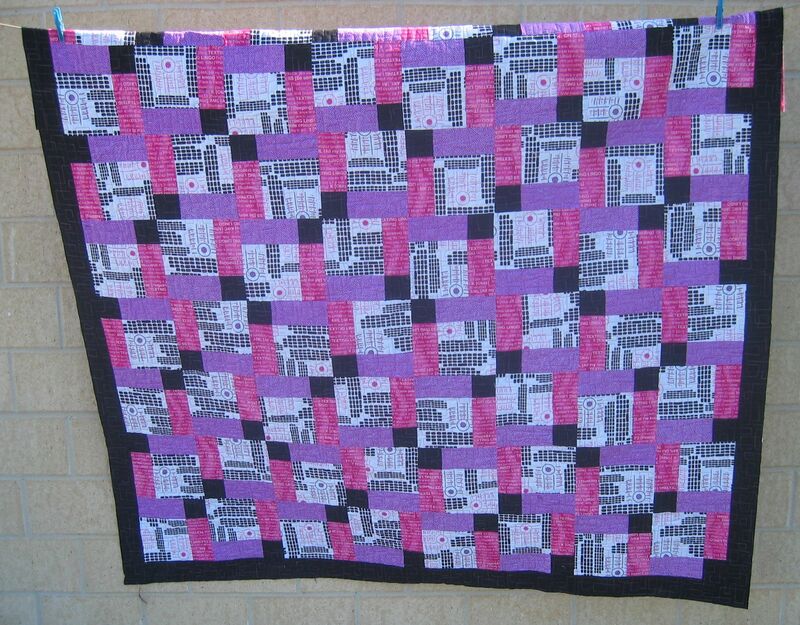 I suspect this quilt will go to a teenager (likely a girl as boys tend not to choose pink! ), as the text on the pink fabric is all text message shorthand, and the pattern on the white fabric is of phone keypads and keyboard keys. 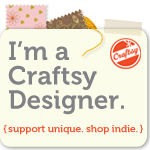 So how to quilt it? I wanted to echo the straight lines of the pieces in the blocks and give a hint of a computer circuit board, so I did a ‘squared stipple’ as an all-over motif. But unlike a traditional stipple, the stitching lines in this one are meant to cross, though typically only once per square/rectangle. I continued the single line stitching (yes, there’s only one long continuous line of stitching in this quilt top) into the border to tie the border to the quilt’s theme. 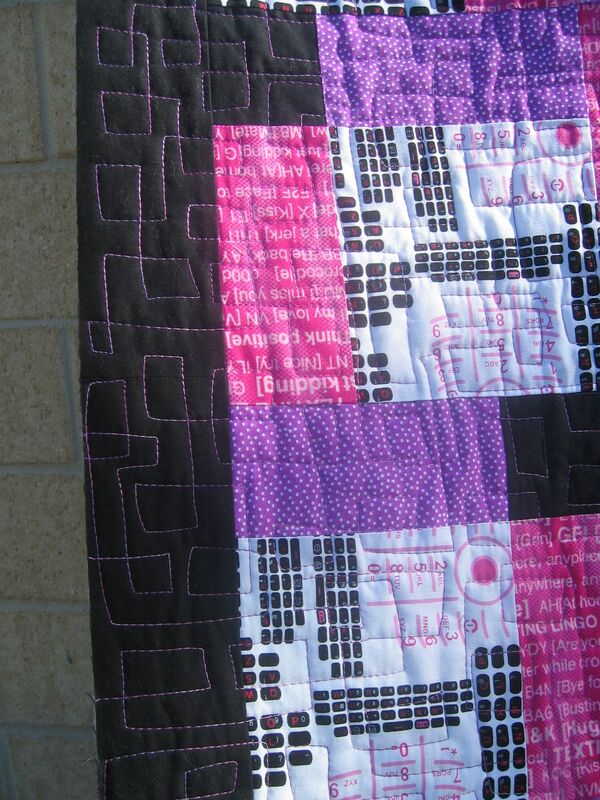 And I decided on a purple/pink variegated thread to coordinate with the pinks and purples in the quilt. I think the black border sets this thread off nicely too. 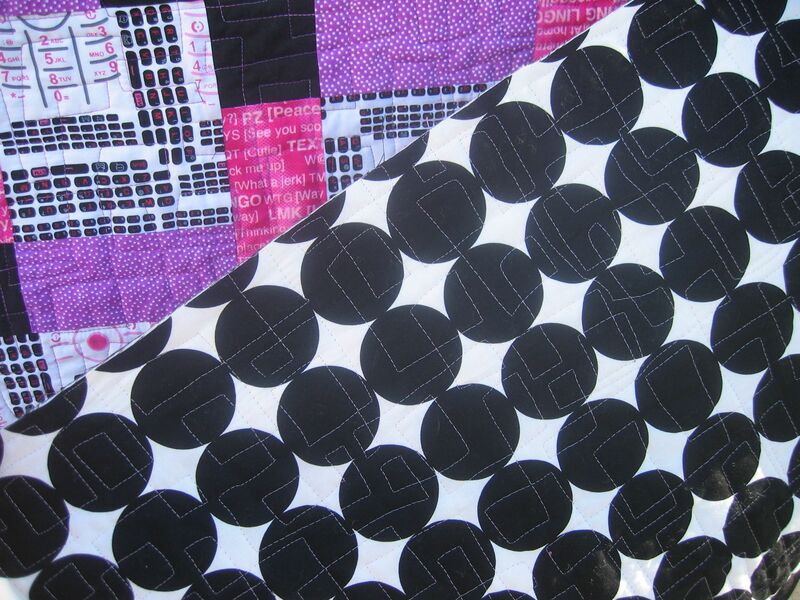 that’s my kind of quilting, love the geometries Rhonda!! 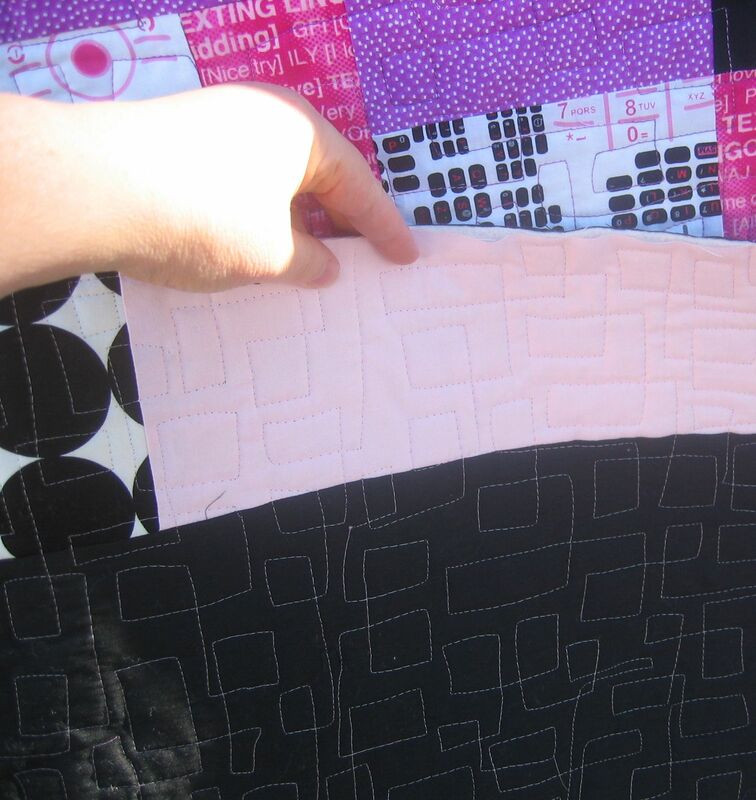 I am starting to see that quilting motif a lot on the “modern”/contemporary look quilts. Really sets them off…..as it does this one! Perfect match-up!! !